As a Gigamon Authorized Training Partner, Fast Lane is able to offer security training on a global level with respect to Gigamon products that provide active visibility into physical and virtual network traffic helping to improve security and optimize performance. Our education offerings enable clients to enhance their Security and Network Optimization expertise while simplifying their security architecture and operations. By offering courses specific to various roles, tasks and business outcomes, Fast Lane enables global scaling of knowledge on developing solutions quickly, effectively and securely. As a component of Fast Lane’s Expert For Hire (E4H) offering, our consultants will provide various customizable consultative training and/or coaching/mentoring services aligned with Gigamon’s key joint solution deployments. Below are some examples of topics that can be addressed during an E4H engagement. Fast Lane is proud to announce the introduction to Gigamon Training Vouchers (GTVs). 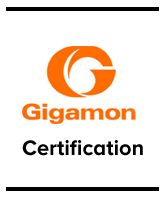 In cooperation with Gigamon, this new program supports both Gigamon’s Customers and Partners training needs with this pre-paid training voucher program. Valued at $100 USD per voucher, GTVs can be used to purchase authorized Gigamon training including standard Gigamon Courses as well as Consultative Gigamon Training solutions both offered by Fast Lane. The purchase of GTVs makes it easy to include and pay for valuable authorized Gigamon training at the time of the purchase of your Gigamon solutions. You can purchase GTVs directly from Fast Lane in support of a solution purchase from Gigamon. If you are working with a Gigamon Channel Partner, they can now sell you GTVs which can be used to order and purchase authorized Gigamon training from Fast Lane. To redeem GTVs, simply supply the order/invoice number that reflects the GTVs purchased to Fast Lane. To attend a 2-day Gigamon class typically priced at $1995 USD, 20 GTVs will be required. If you do not have enough GTVs to cover the purchase, you can supplement the difference via other acceptable means such as credit card, PO, etc.